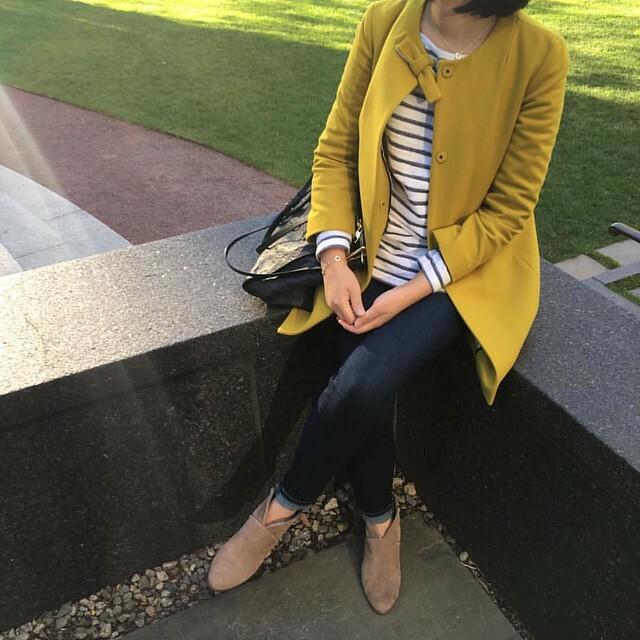 Mustard is one of my favorite fall colors and this crewcuts coat (check out this year’s version here) continues to be something I love to wear when it’s not quite time for my winter coat. 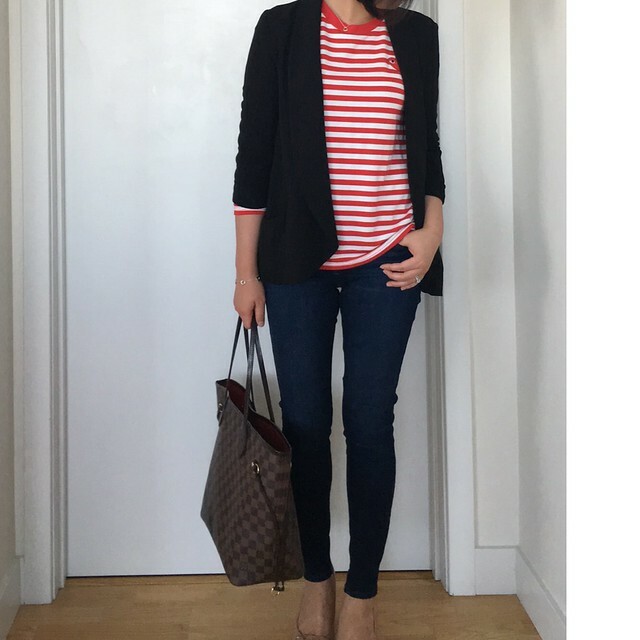 It’s such a cheery color that brightens up any outfit. 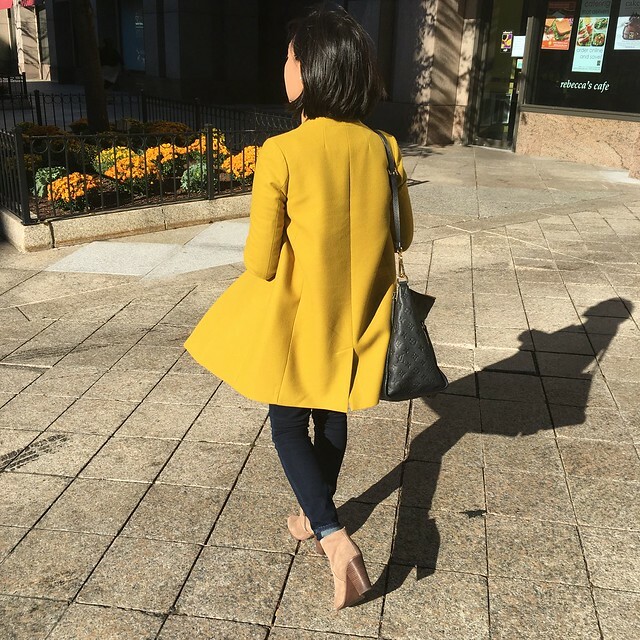 The lady day coat is available in a bright butternut color and the chateau parka (review here) and this stadium-cloth cocoon coat are available in a similar color called golden sun. I also saw this stadium-cloth majesty peacoat pictured below) in stores in the golden sun color but the collar was too oversized and the pockets on the sides are an odd add-on detail. I checked online and I was not surprised by all of the negative reviews about the design changes in this J.Crew classic. I’m trying it on in size 2 regular below and it fits me very well otherwise. It runs narrow in the shoulders if you refer to my measurements here. The stadium wool melton peacoat looks like a more classic style and the belt in the back has the button details that most seem to prefer. J.Crew is having 25% off full select full-price styles with code SALETREAT (plus FREE shipping, today only). I’ve been wanting a down coat for a while so I ordered this crewcuts girls’ powder puffer down coat in size 14 when it was 30% off yesterday. I was deciding between navy and heirloom grey but I went with the grey color. 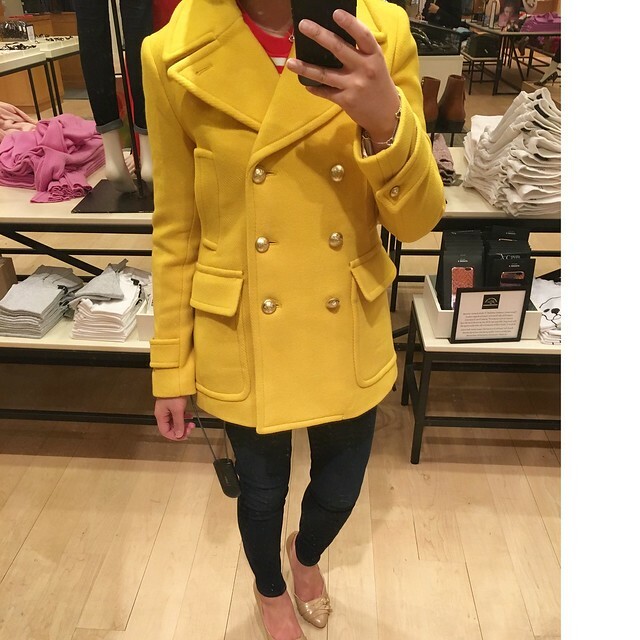 One of the first online reviews for this coat is from a reviewer who is 5’1 and 105 pounds so I hope it fits me too. 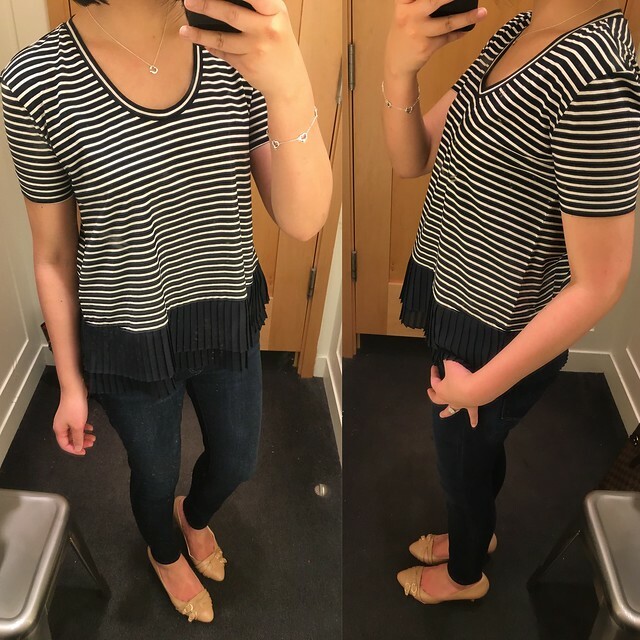 I also tried on this pleated chiffon-hem striped t-shirt in size XXS regular and the fit is slightly loose as described. I thought the overall fit was very flattering. It also comes in three solid color options here. 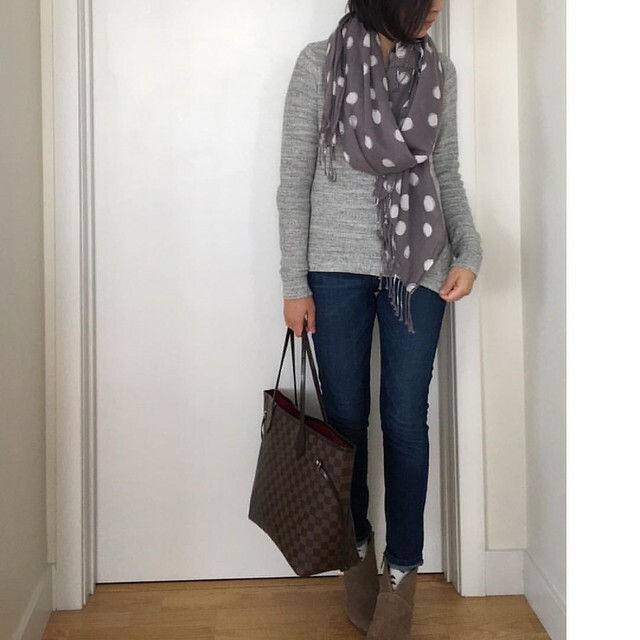 I’ve been running out of the house most mornings (the chilly mornings make me want to sleep a few more minutes) but here are two of my outfits from this past week. My orders from last week finally arrive tomorrow so I’ll do another update soon.